All posts tagged with "diggle gods"
First off: we are amazingly honored to find ourselves on some “best of 2011” lists. 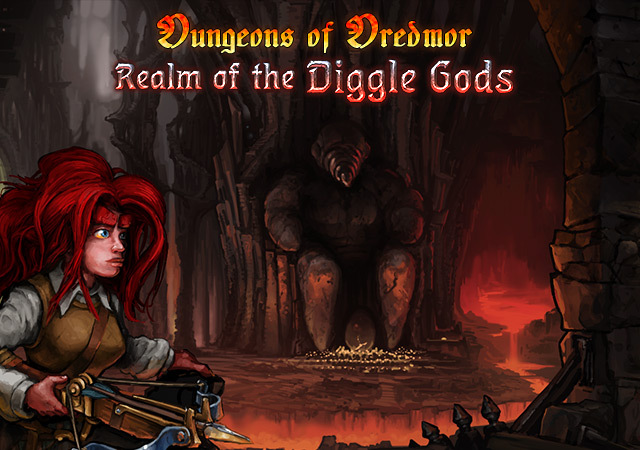 In particular, IndieGames has declared Dungeons of Dredmor to be their sixth best independent game of 2011, against some very stiff competition (and, amazingly, beating out Bastion, a game we really enjoyed.) Even more mindboggling is the fact that we’ve been nominated as one of the five best RPGs for the PC for 2011 over at the IGN Network – next to Bastion, the Witcher 2, Deus Ex: Human Revolution, and a little game called Skyrim that nobody’s ever heard of. This is basically like being nominated for an Oscar – you may not win, because you’re up against a ringer – but hey, you’re still Oscar-nominated! We’re also in IndieDB’s “Top 100 Indie Games of 2011” – vote for us here – and we’re still neck in neck with ToME 4 over at the ASCII Dreams Roguelike blog, where the battle between a commercial roguelike and one of the best new free traditional roguelikes of this year has caused no end of controversy. (I say this not having played ToME, but I’m making it my business to do so over the holidays.) Feel free to vote for us at these things if you think we deserve your voting love. Monday, we released patch 1.0.8, shortly followed by patch 1.0.8b, and patch 1.0.8c (fixing the invasion of the Giant Pink Scorpion Diggles on OS X.) 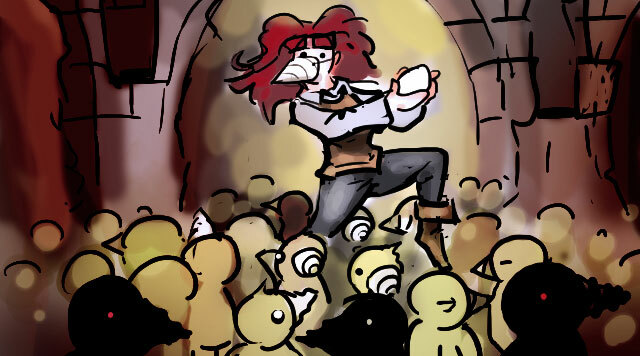 Thursday, after some hiccups, we got the Realm of the Diggle Gods up on Steam, and we’re delighted that the feedback has been universally positive. Everybody is having fun, and everybody seems to think it’s worth $2.99. Friday, just to put the icing on the cake, I successfully defended my Master’s Thesis in Computer Science, which I have been quietly writing in the background while all of this development has been going on. Finishing that project, however, has meant that I am a little behind on Support Things this week; under normal circumstances, we would probably have been a little better organized. Accordingly, here is a run-down of where we currently are on All of The Things.